Kim and Kanye on Similar Outfits to a Movie Date - BlogIT with OLIVIA!!! The hot couple looked awesome as they stepped out for a movie date on Saturday. 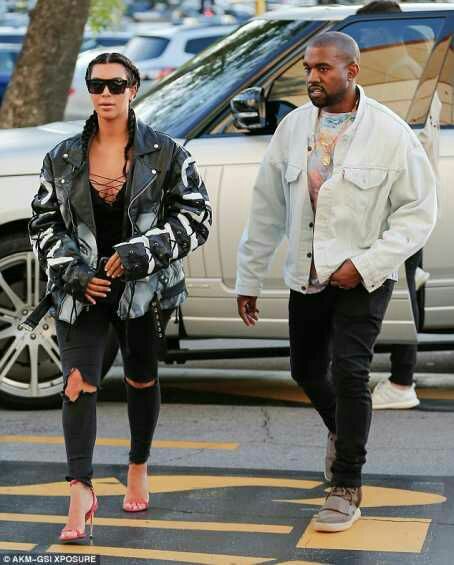 Kim Kardashian West was on a custom made motorcycle jacket and a red sandals totally looking fabulous as Kanye looks just his handsome self.